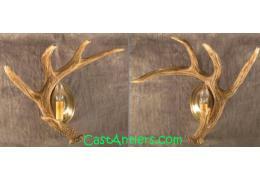 Each sconce measures 15" wide and is 15" tall. 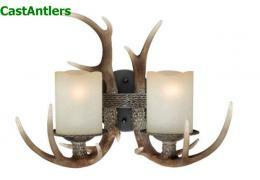 Antler is a professionally handcrafted reproduc..
Dimensions: W 16.75" x H 12.5", extends 10" inches from wall Number of Bulbs: 2 Wattage: up to 100.. 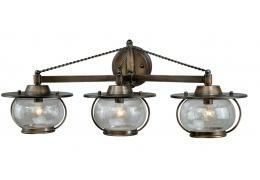 Measures 18" wide and is 15" tall. 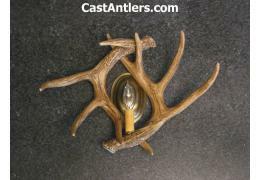 Each Antler is a professionally handcrafted reproduction.&n..